Hi...I really don't know or not sure what it is. Because I am not chinese but live in china. I know what is Thai purple basil but this one is not sure. Smell likes purple basil but not strong flavor. I have picture about it. 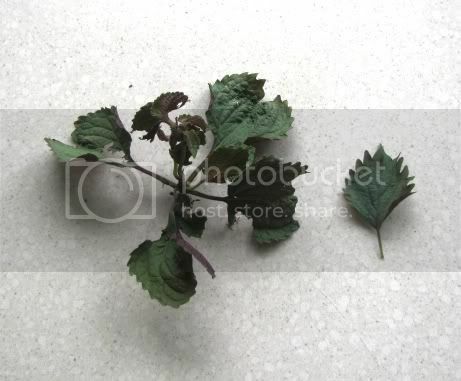 I think this is Perilla, called Aka Shiso in Japan. in Kanji, it's 赤紫蘇 if that helps. Is this Thai basil going to taste ok?